My disdain for February goes back many years and has been well documented here. I'd like to call us frenemies, but that suggests there's an element of collegiality that I'm not sure exists. True, I've had several nice trips to warm places (and cold places) in February… but those don't outnumber the bad things that seem to occur to me in this short but brutal month. February has become, for me, four weeks to be gotten through. I'm thankful that this year there are only 28 days (last year's 29th day felt like such an insult). 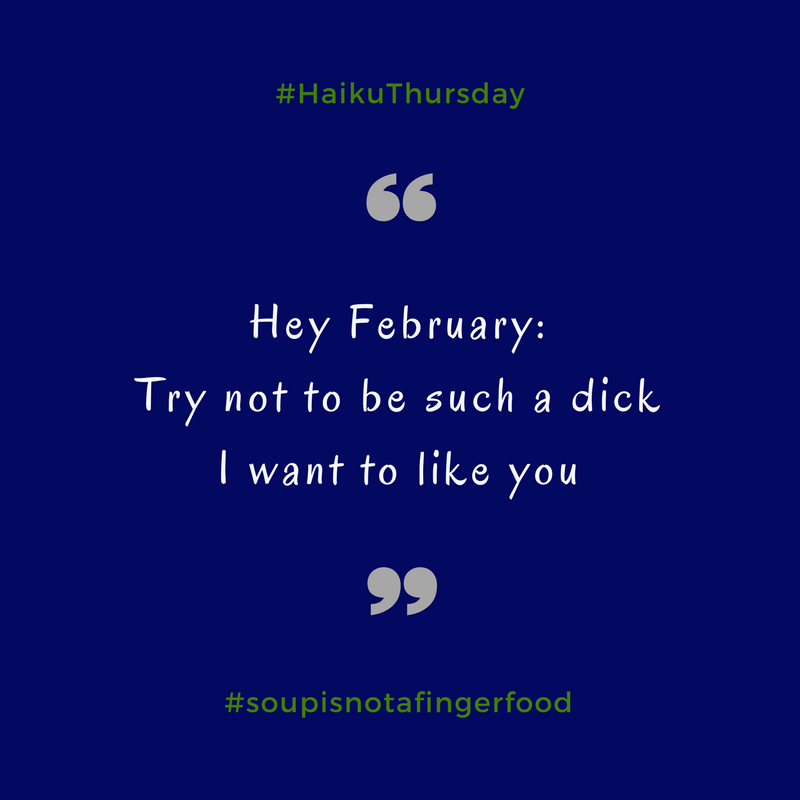 So, this week's haiku is a plea to my least favorite month. I've got my eyes on you, February. Don't try anything.